autoVHC recently returned from Automechanika Frankfurt, the world’s biggest automotive aftermarket show in the world. It is held every two years and this year celebrated its 25th show, with five action-packed trade fair days which concluded on September 15th. This was the busiest show ever with a record 136,000 visitors from 181 countries; the last event attracted 133,000 trade visitors from 170 nations. Automechanika is an international hit with shows in 15 countries across four continents. It is hugely exciting to see the event continue to grow and attract attendees from all around the world. Over 5,000 exhibitors appeared at this year’s Automechanika, showcasing every aspect of the automotive aftermarket. Some of the key themes at this year’s event included mobility of the future, caravan exterior skin repair, alternative drives, connected mobility and virtual worlds in the automotive industry; in short, explorations of how next-generation technology can make exciting and innovative differences to the automotive aftermarket industry. Another key theme was operational profitability – perhaps not as flashy as some of the others, but nevertheless the bedrock on which the success of the entire industry rests. Without operational profitability, none of those technological innovations can follow. Without operational profitability, jobs are lost. autoVHC firmly believes that our solutions help automotive dealerships and repair firms to maximise their operational efficiency, and we were proud to be one of the exhibitors at this year’s event. We joined the Snap-on Business Solutions stand, the aftersales solutions provider we are part of. Snap-on develops information tools including electronic parts catalogues, diagnostic systems, financial and operational reporting services and warranty management solutions. From the stand, we showcased our complete electronic vehicle health check system, demonstrating how the workflows it generates for vehicle checks can help even the biggest automotive manufacturers and repairers to increase sales. By logically guiding users through the inspection, pricing and selling of additional work identifies by vehicle health checks in the workshop, autoVHC creates greater efficiency, transparency and more cross-selling opportunities. We have worked hard to create the most intuitive and easy-to-use platform possible, so being able to demonstrate its functionality in person and talk with other members of our industry about the opportunities and challenges they face is always hugely rewarding. We are delighted to report that there was plenty of interest in the autoVHC platform. The show was a great opportunity to welcome our existing customers and network with new opportunities from all across the automotive aftermarket industry. As we recently blogged, in spite of new car registrations being up over August compared with last year, there is still a great deal of turbulence and unpredictability in the new car market. In turn, this means that aftersales software has an increasingly important role to play in helping dealerships to not only process aftersales work more efficiently, but also to improve their cross-selling and up-selling capabilities, and delivering the most tailored, personalised service possible to customers. 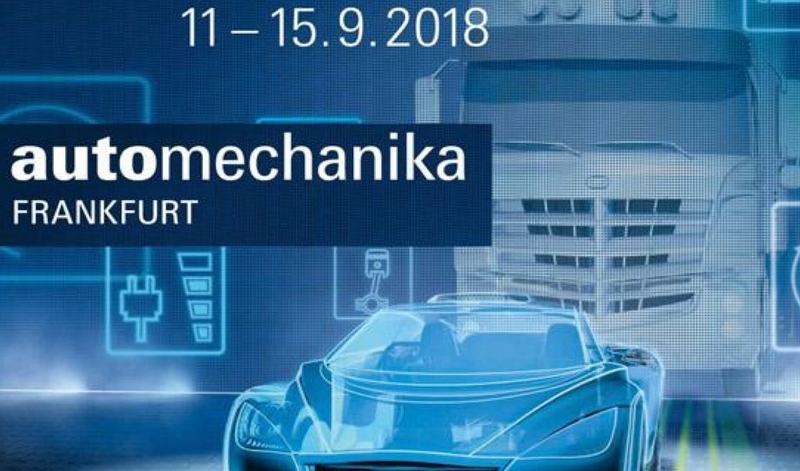 Automechanika Frankfurt was a huge success for autoVHC, and we already have our sights set on the next event in two years’ time. Thank you to all who dropped by and visited our stand, and we look forward to working with many of you in the near future.